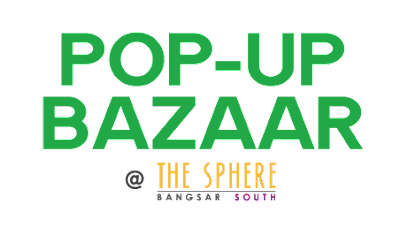 If you are staying near Bangsar, here is the chance for you to participate in a weekly bazaar...POP UP BAZAAR! 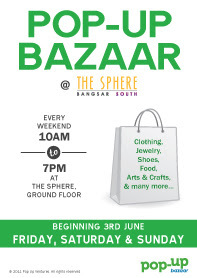 The bazaar is held at The Sphere, Bangsar South from 3rd June onwards. The bazaar will be open every weekend (Fri, Sat & Sun)! If you are interested, do check it out with the organizer here! Or you can make your booking here!